As my tastes mature I find it harder and harder to find tees to post that aren't basic. 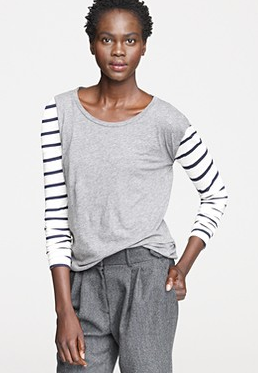 This striped sleeved one by J. Crew is awesomely casual chic and just $43 to boot!